Now that football season is in full swing, it’s time to show your team spirit. 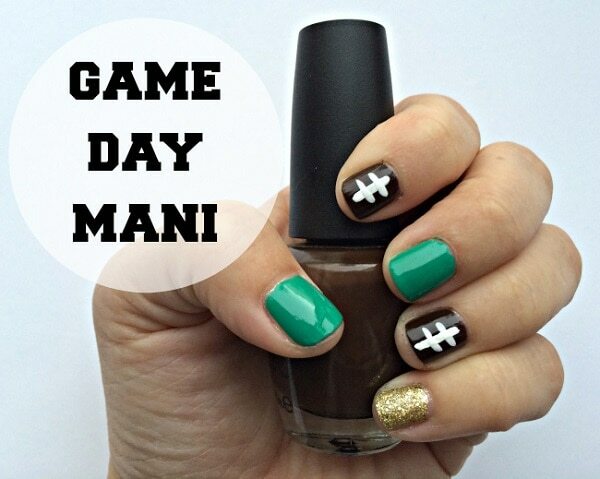 Whether you’re cheering on your favorite football team at the stadium or in your home, these two football-inspired game day manicures are bound to be a hit. Simply follow these easy, step-by-step tutorials to create a fun and festive look on your nails. 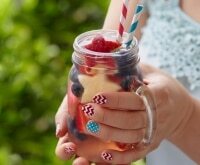 This colorful game day manicure is perfect for any tailgating event. 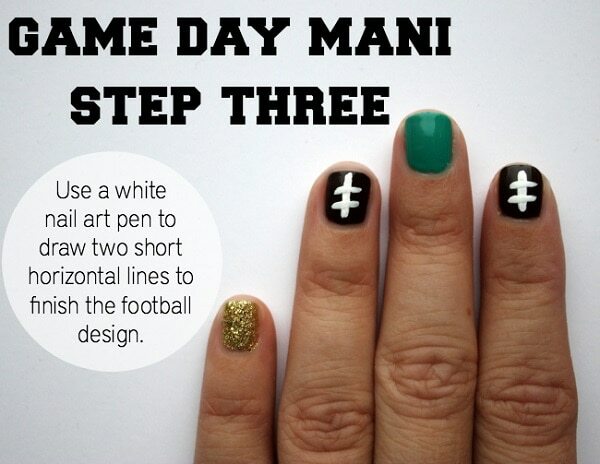 With only three easy steps, you can create a spirited manicure with football nail art in a matter of moments. To begin, paint each nail with two coats of nail polish. 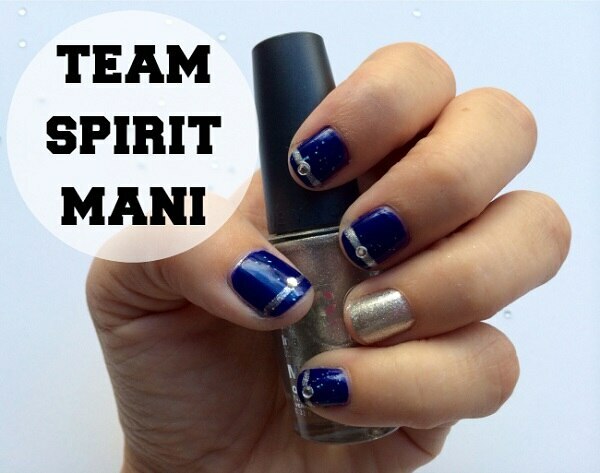 Use nail colors that represent the sport in general. I opted for a bright green polish on the thumb and middle fingers to represent the grass of the football stadium. 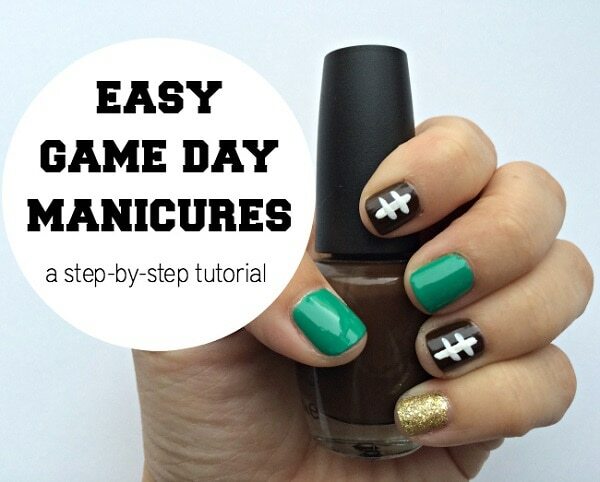 Paint your index and ring fingers with a deep brown polish to create a base for the football nail art. Opaque gold glitter polish coats the pinky finger for a touch of sparkle. Let all of your nails dry completely before moving onto the next step to prevent smudging. Next, use a white nail art pen to draw a vertical line on the two brown nails and allow the design to dry. Don’t worry if your lines aren’t perfectly straight. The next step will hide any mistakes. For the final step, use a white nail art pen to draw two short horizontal lines across the previously painted vertical white line. This step creates a look that mimics the lacing on a football. 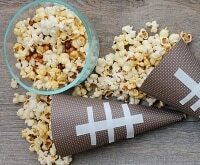 Now you’re ready to cheer on your favorite team. 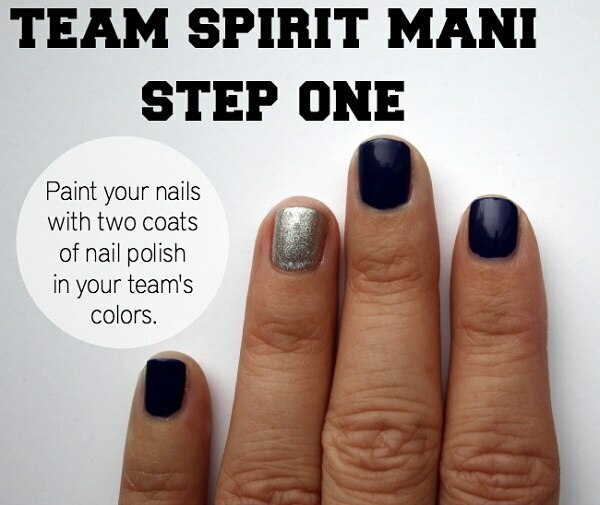 If you’d like to create a look that showcases your favorite team’s colors, try this team spirit manicure. 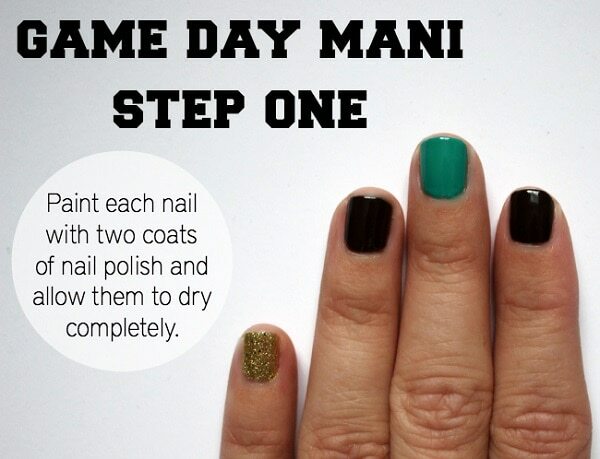 With only four easy steps, you can create a feminine manicure that shows your love for your team. 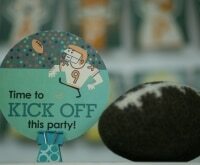 This look is perfect for any football event, but it’s pretty enough to wear everyday. 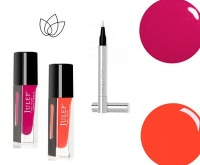 Choose two nail polishes in your favorite team’s colors. Paint two coats of the polish in your team’s main color on your thumb, index, middle and pinky fingers. 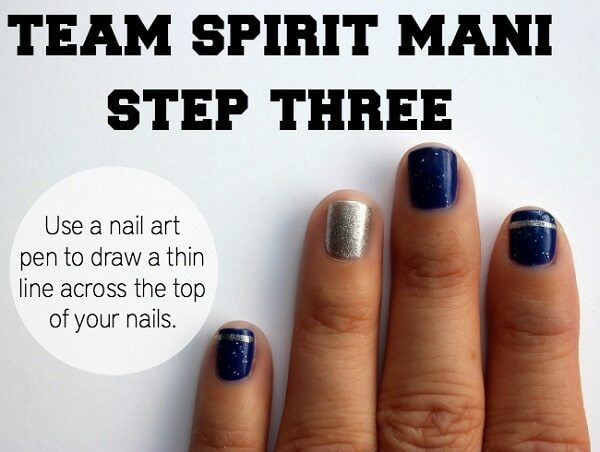 Next, use your team’s secondary color for your ring finger as an accent. To add a bit of sparkle to the look, paint a coat of glitter nail polish in a coordinating color on the thumb, index, middle and pinky fingers. 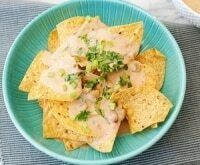 Allow the polish to dry completely. Use a nail art pen in your team’s secondary color to draw a thin line across the top of your thumb, index, middle and pinky fingers. To easily create a straight line, set the pen on the left side of the nail and slowly rotate your finger to the left. Moving the nail instead of the pen helps keep the line straight. 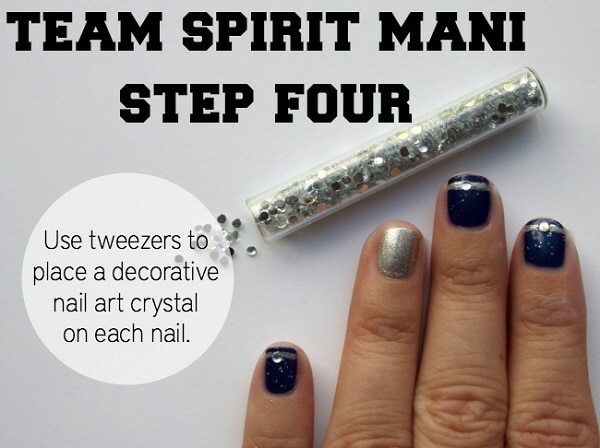 For the final step, use tweezers to apply a nail art crystal to each of the lines you created in the third step. 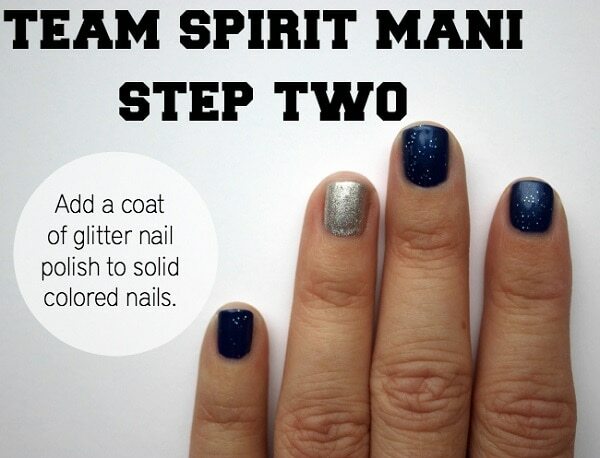 This fun and spirited manicure will make you number one at any football game. 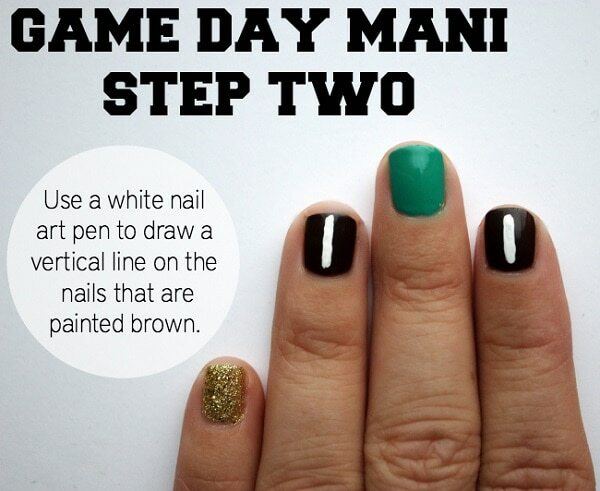 Now that you’ve created a fun, football-inspired manicure, you’ll want to show it off all week long! Adding a layer of shiny top coat to either of these manicures will help your look last longer. So cute! And I think I could actually do this! 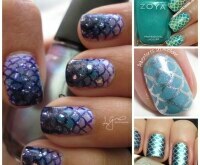 So many nail art tutorials are way too complicated and I can never make them look as good as the pictures. I think I already have the supplies for this one!